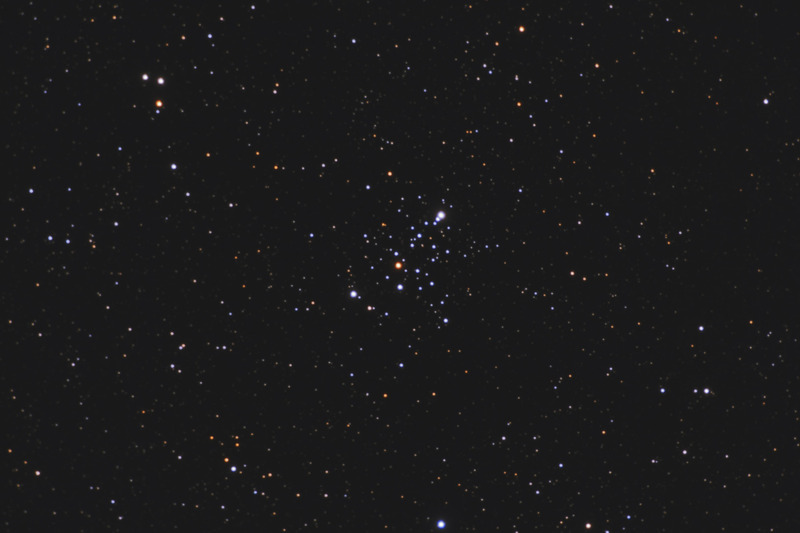 At a distance of approximately 8,000 light years, M103 is one of the farthest open clusters in our Milky Way Galaxy. The cluster contains about 40 stars with some catalogs identifying as many as 172 stars. The garnet star in the center of the cluster is a red giant. Software Used Images Plus 4.5 for camera control, calibration, stacking, digital development, multiresolution sharpening, smoothing and noise reduction. Registar used for stack alignment. Photoshop CS5 used for levels and curves, color correction, selective color, match color, star shrinking, lab color, and saturation adjustments. Gradient Xterminator for gradient removal. Carboni Tools for additional saturation adjustments, noise reduction, and smoothing. HLVG for additional color correction. Notes The seeing was horrible the evening I captured this image, and the Moon was Full. As such, this isn't an impressive photo. 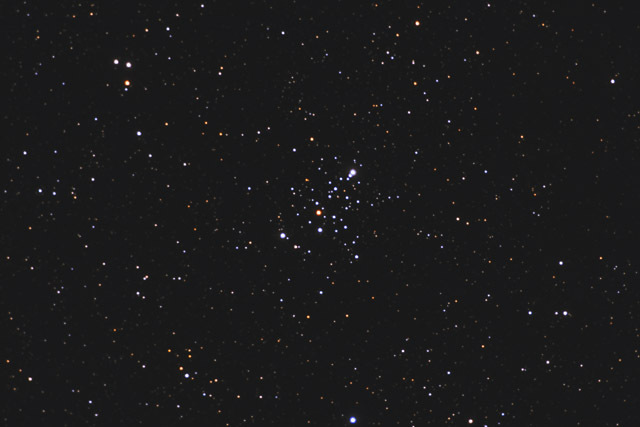 Nonetheless, the cluster has some beautifully colored stars, and at least I was able to add one more object towards a complete Messier catalog!